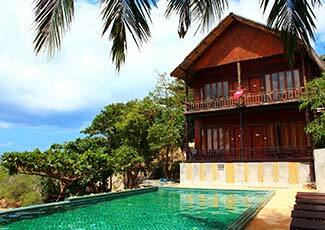 Haad Gruad Beach Resort & Spa has a quiet natural setting with a beautiful private beach. This resort has a very relaxed family atmosphere where you can feel like you're at home. It is an inexpensive place to stay with very delicious home cooked meals and the bungalows are spotlessly clean with lots of natural sunlight. Most rooms have a clear ocean view. Every day at 11AM there is a taxi service to bring you into Thongsala and every Full Moon, Black Moon and Half Moon Party we organize transportation to the party area. Being on the west side of the island you can see spectacular sunsets, while enjoying a movie or sitting quietly in the large open air common area or on the sun deck around the swimming pool. 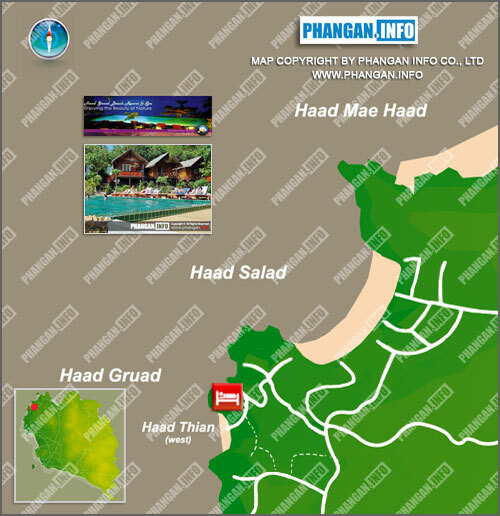 Haad Gruad Beach Resort & Spa has a wide variety of bungalows to suit all needs and budgets. Some rooms are located on the beach; others are surrounded by a lush garden. All rooms have a private balcony and bathroom, hot shower and fan or air-conditioning. Transfer service from resort to Thongsala pier is available at 11:00 hrs. for special price at 100 Baht per person per one way. Free WiFi in public area, Pool Villa and Seaview Bungalow.